This charming holiday accommodation is located in the heart of the Vosges and occupies a significant part of the owner's house. The house has a spacious terrace from where you can enjoy a beautiful view of the surrounding mountains. 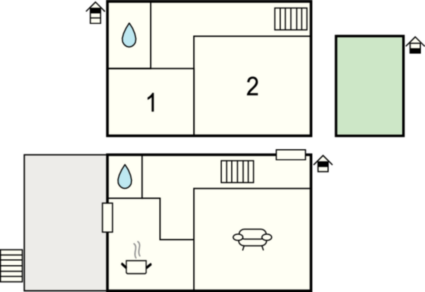 The house has a pitched roof on the upper floor as well as spacious rooms. There is a games room with table tennis and table football. The town of Villé, located a few kilometres away, has several shops, restaurants and a swimming pool. In summer, you can enjoy paragliding, hiking, zip lining and summer tobogganing at the ski resorts Champ du Feu and Hohwald. You can visit the beautiful Château du Haut-Koenigsbourg, the "Valley of the Apes" and a falconry located nearby. The picturesque town of Colmar with old houses is hardly an hour away. Ride along the wine route and explore the charming villages and taste the Alsatian specialties. This villa is made from wood and brick and was originally built in 1980 and refurbished in 2009. The agent has rated it as a two star property so it is a plainly furnished villa with limited facilities. It is ideal for a cheap holiday. 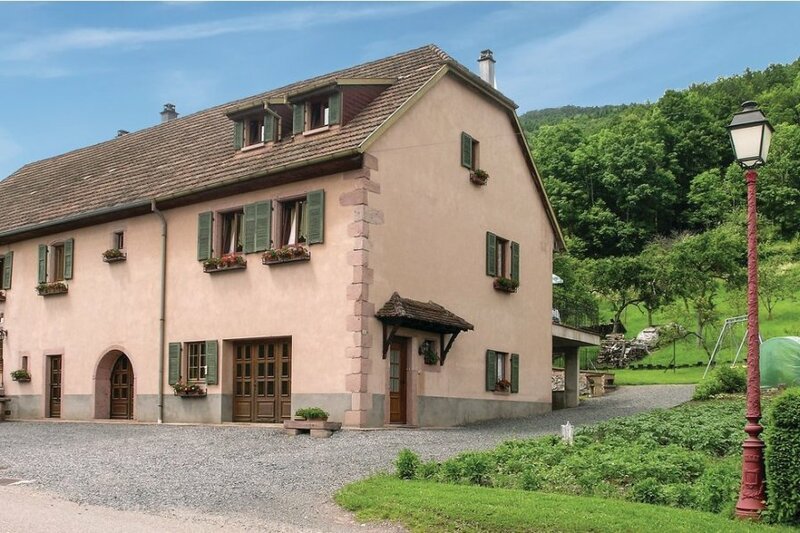 This villa has mountain view and is located in Steige, only 8km from Ville. It is set in a good location: there is a restaurant 2km away.